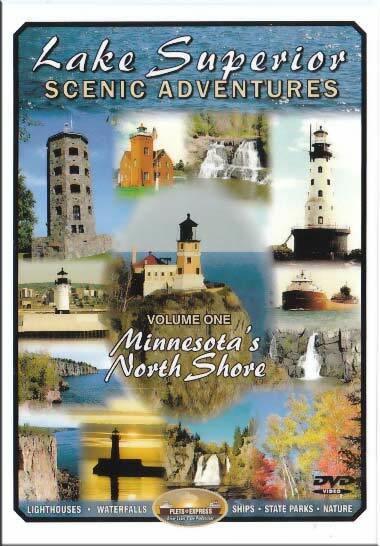 Features the scenic Minnesota North Shore of Lake Superior. See waterfalls, Split Rock Lighthouse, Gooseberry Falls, 7 State Parks, ships, lighthouses, scenic overlooks, famous landmarks, nature trails, rivers, spectacular fall colors, a tourist train and two boat rides on Lake Superior. Located in the beautiful Arrowhead Region of Northeastern Minnesota, this sightseeing travel guide will explore along the 156 miles of rocky shoreline from Duluth to the Canadian border.